The curving bed south of the gazebo is one of the original beds in the Learning Gardens. Extensively revamped in the late 1990s, it was renovated and expanded in 2003 based on a design by Nance McAleer, a former Mayhew Scholar and undergraduate student. The current garden features a color scheme of blue, purple, and pink-flowering perennials combined with gray foliage plants. The gazebo was originally an oasis surrounded by grass with a walkway leading through it. Dedication pavers, sold to raise funds to support the garden, were embedded in the walkway. The gazebo structure was funded by the OSU Facilities, Operations, and Development (FOD) and erected in 1995 as a joint effort of students and agriculture student organizations. 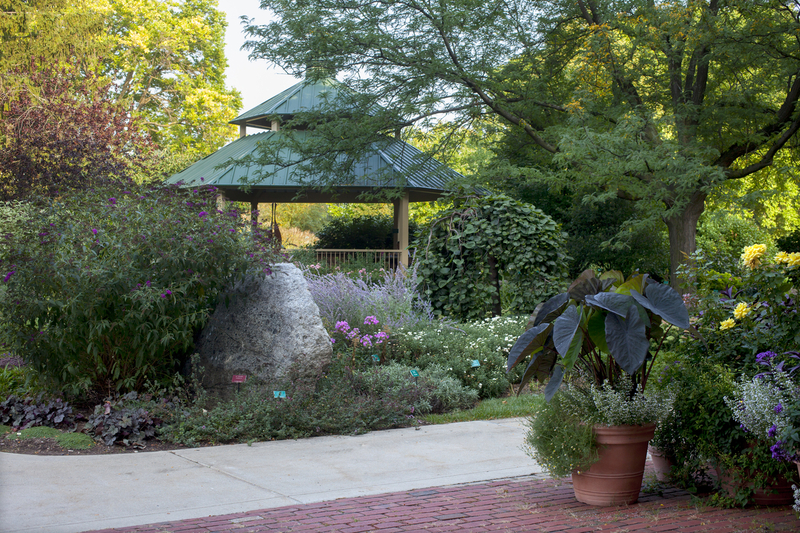 Now it sets amid a beautiful perennial garden providing a respite for students, faculty, and visitors. 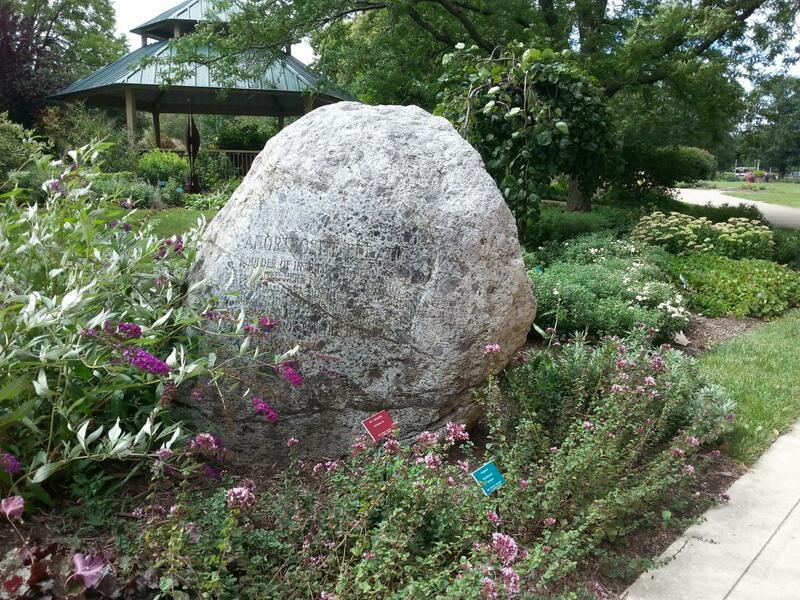 The granite boulder at the northwest corner of the walkway is one of several glacial erratic rocks in the arboretum. A glacial erratic is a piece of rock that differs from the size and type of rock native to the area in which it rests. It was carried to its current location by glacial ice. This particular glacial erratic was unearthed during the construction of Kottman Hall. 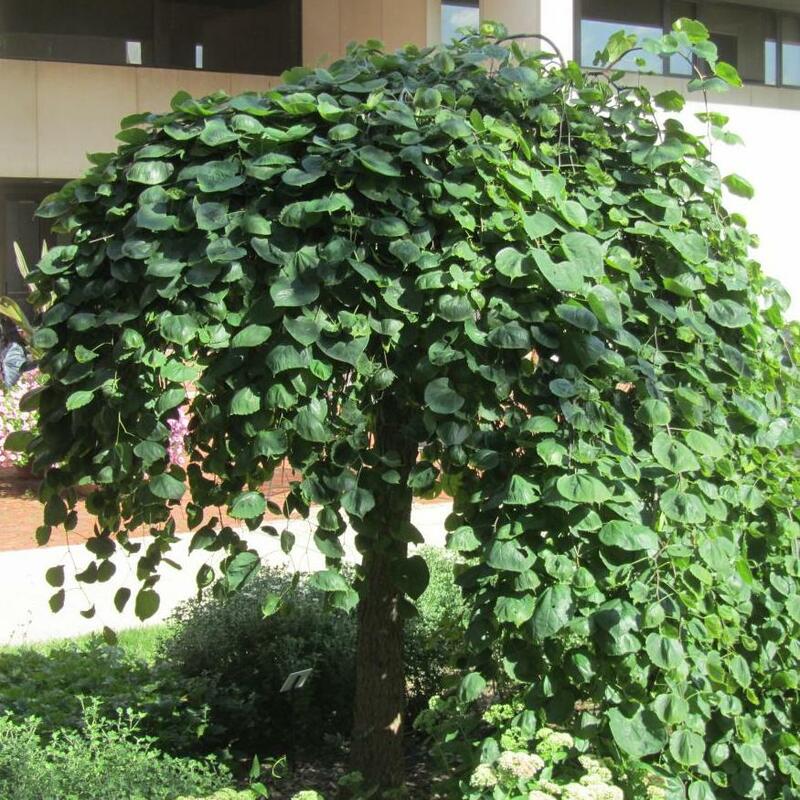 The Cercis canadensis 'Covey', a weeping form of the Eastern redbud, was cultivated by Ohio State horticulture alumni, Tim Brotzman. 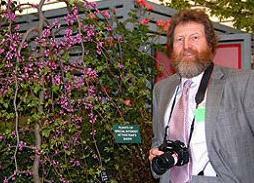 It is a lovely, very small, tree that adds a beautiful touch to any garden. It is noted for its absence of an upright leader and for its dense umbrella-shaped crown. It reaches 5–10 feet tall depending upon whether it is staked or not. Clusters of tiny, lavender-pink, pea-like flowers bloom for 2-3 weeks in early spring before the heart-shaped foliage emerges. 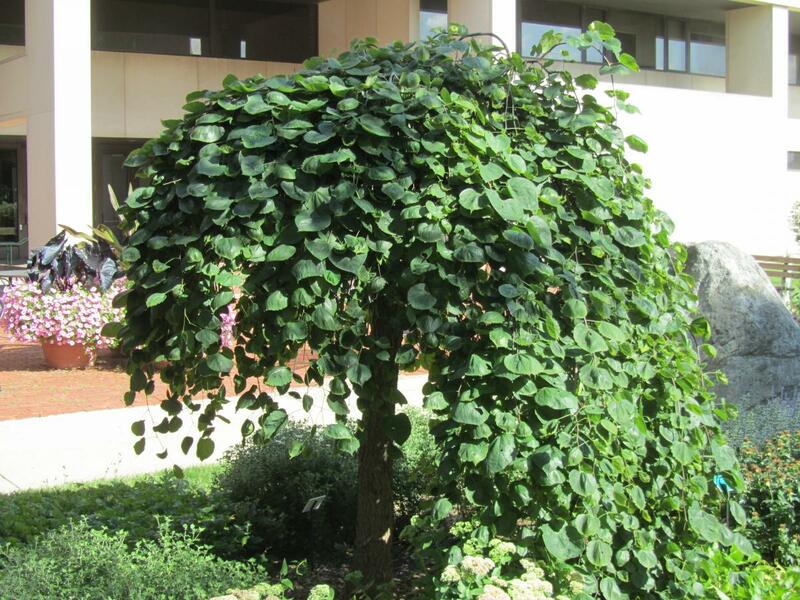 This lovely, weeping redbud has gained international interest since its introduction.